Yong Zhang joined Coker in 2005 and serves as a senior manager. She works with organizations of all sizes and in many different sectors within the healthcare industry. Her work projects include business valuations, tangible and intangible asset valuations, professional service valuations, mergers/acquisitions/divestitures, due diligence reviews, fair market value and commercial reasonableness reviews of physician compensation, and other areas of financial and operational analyses. Ms. Zhang is a contributor to many Coker publications, such as RVUs at Work: Relative Value Units in the Medical Practice, 2nd Edition (©2013 Greenbranch Publishing), Valuing, Selling, and Closing the Medical Practice (©2011 AMA Press), Starting, Buying, and Owning the Medical Practice (©2011 AMA Press), Financial Management of the Veterinary Practice (©2009 AAHA), and others. 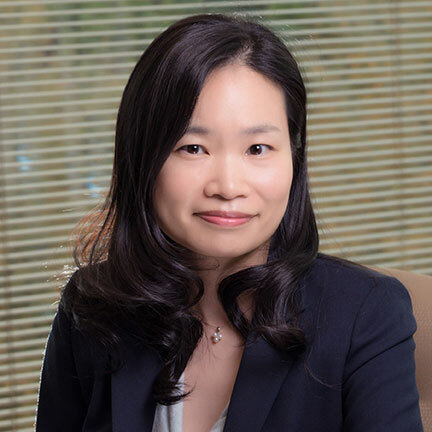 Ms. Zhang is an Accredited Senior Appraiser (ASA) by the American Society of Appraisers, and she is a Certified Public Accountant in Georgia. Completed business valuations for hospitals across the nation. Led healthcare organizations through tangible and intangible asset valuations. Provided financial and operational analyses to ensure organizational improvement. Strong financial foundation in the areas of business valuation, US GAAP, financial investing and federal taxation.